Have you driven a 2017 Genesis G90? 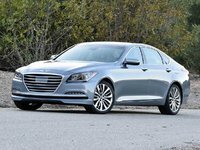 Displaying all 2 2017 Genesis G90 reviews. needs to have backseat video monitors and massaging back seats. Touchscreen would be nice but not as important as the other two. Back Seats Ranked 2017 Cadillac CT6 better. "video system and massage seats"
Value Ranked 2017 Cadillac CT6 worse. Would Buy Ranked 2017 Cadillac CT6 worse. "feels more luxurious for the money. The Cadillac performed better, if it was bigger inside, I would buy that way faster. " 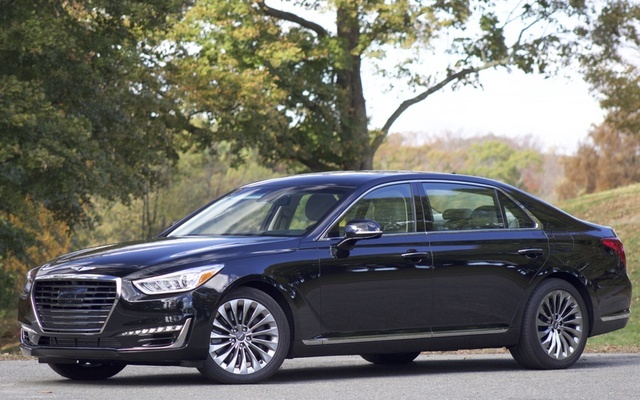 Looks/Style Ranked 2016 Hyundai Equus Ultimate RWD worse. "Better LED styling and running lights"
Cargo Capacity Ranked 2016 Hyundai Equus Ultimate RWD worse. "The G90 has ski pass through"